When Rodney King died, it was G-d’s little way of saying, “Clean-up on Aisle Six!” The guy was nothing but a drugged up criminal and all-around scumbag, as I’ve repeatedly detailed on this site. There was a reason police officers beat him: he was so hopped up on drugs, after a long police chase, King resisted arrest and was immune to a taser. And for his “trouble,” police officers were thrown in jail and King made mega-millions which he immediately spent (on dumb things like a hip-hop label) and then committed other crimes, including drunk driving, wife-beating, and hit-and-runs. (An extensive laundry list of Rodney King’s “contributions to America” is here.) He became a reality show star, made more money, and was a fixture in Al Sharpton’s race-baiting theatrics. Plus, he inspired race riots in which South Central Los Angeles residents looted businesses of innocent people and beat senseless innocent Whites, like trucker Reginald Denny. And, so, it should come as no surprise to anyone with a clue, that the report by the coroner investigating Rodney King’s death found that the lowlife had all kinds of illegal drugs (and alcohol) in his system. Rodney King was under the influence of SEVERAL substances at the time of his death — including alcohol, marijuana, cocaine, and PCP — this according to Rodney’s death report. According to the report, the cause of death is listed as accidental drowning — but the drugs were contributing factors. The PCP is interesting because there was a theory around the time of the 1991 beating that Rodney displayed super-human strength because he was on PCP at the time. However, blood tests for the drug turned up negative. . . . In the report, the coroner says King was “in a state of drug and alcohol induced delirium” at the time of his death … and either fell or jumped into the swimming pool. According to the report, King was naked and face down at the deep end of the pool when officials arrived on scene. Cops also found a pitchfork, a hoe and a vaccuum pool sweeper in the pool … which King’s GF [DS: girlfriend] used to try and fish Rodney out of the water. The GF told cops she didn’t go in after Rodney because she is not a good swimmer and was afraid to enter the water. Or maybe she used those to push him into the pool, keep him under water, and drown him. You never know. In any event, Rodney King’s death wasn’t exactly a tragedy for the world. He and his race merchantry won’t be missed. I don’t expect any apologies to be made to the cops who were railroaded into prison for this worthless piece of human flotsam. If you’re going to destroy good people’s lives over something, be sure its for someone who deserves it. But the first Bush White House couldn’t care about any of that and certainly not about the truth and not about justice. It only cared about being politically correct. And Rodney King’s unlamented death is proof that being kind to criminals and sucking up to the race merchants doesn’t benefit either the person who doesn’t face justice or society in the long run. Have we learned anything more than twenty years after the Los Angeles riots? I doubt it. No one would take my bet on this one. After the trial they showed the whole video and yes he was fighting the whole time and that is why he kept getting hit. Most of the cops showed up atthe end and were not all there. Shame on the press for their coverage when they want it to look like something it isn’t. The girlfriend tried to fish him out of the water with a pitchfork? Good thinkin’, there, Einstein. I don’t believe the GF’s story she couldn’t swim. It sounds believable, alright. The thing to remember is there where no winners in this saga. Every one lost something and not in a good way. I think it bears noting that his girlfriend was a juror in his civil case against the city of LA. 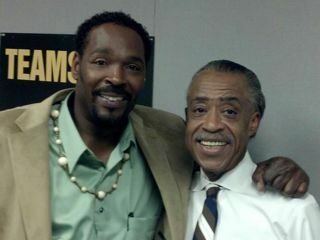 Rodney King had a huge opportunity to turn his life around, but failed or refused to do so. This report also seems to validate initial police claims about Mr. King’s insane behavior so long ago. It was an era before tasers, and the police had few options in subduing a person. Pepper spray or mace is utterly ineffective when someone is truly tanked up. Instead of relief, some in the Black community decided that Rodney King’s police encounter was a good pretext to act up. That is what would have been used as a justification for lynching or other forms of racial degradation in the Old South. There was not even the pretext of Denny having done anything to offend or anger the thugs. Also, dragging someone out of their vehicle is not being “caught up in the moment”. This piece of nonsense makes the Nuremberg Defense of old seem perfectly reasonable by comparison. Rodney King was on alcohol, marijuana, cocaine, and PCP when he died? I guess that means the end of his reputation as a role model for our nation’s young people, as Al Sharpton wanted him to be. Sharpton will have to look for others for inspiration. The Justice Brothers are going to be looking for the next black “victim” of white racism. And then there’s Jessie Jackson Jr. I guess the acorn doesn’t fall far from the tree. Who knows what he’s been on? That’s pretty “hopped up”, just trying to get along I guess. And today the posts have discussed the obtuseness of George Bush Sr. and George Bush Jr. I still want to know how a 6′ tall man can drown in a 5′ deep pool. Given his heart condition and his being pumped up full of drugs and alcohol, its very likely he couldn’t overcome the effects of the latter and drowned. A combo of the latter can impair judgment, breathing and induce unconsciousness. Or like Debbie wrote, its quite possible his GF murdered him. Regardless of how it happened, no one will really miss him. He is not the kind of guy who is going to be remembered years from now when his own life was a such complete mess. But that was his own doing and not something others ever did to him. I read somewhere sometime ago that the LAPD has about 30 plus unresolved murder cases that took place during the LA riots in the vicinity of the riot torn area. All the victims were blacks. My guess is that rival gangs took advantage of the confusion to settle scores. Its a good bet they remain unsolved because no white cop wants to be anywhere near black suspects or black victims. Once burned, twice shy. Its a tragedy to be sure but this is one of the less pleasant fallout consequences from the Rodney King case denouement. Rodney King won but society and Black America lost. But don’t tell that to the race merchants who profited from the entire ordeal. Can there be anything more pathetic than stepping off into eternity with nothing to show for your life except having a city-wide riot named after you? He’s dead? As others have noted, one of the most overrated people ever to have lived. As Airmet Tango noted, nothing to show for his life except for a city-wide riot in his name. I believe the GF – a lot of people can’t swim, and just get into the hottub. Also, a lot of people may well be queasy about jumping into the water to pull out a dead body. Although using a pitchfork to pull out his body sounds strange – she might as well just have called 911. But no, I don’t think there’s foul play here. Foul play was when his parents got together in bed and conceived this gem of a guy. Very un-PC thought, to this day I don’t think the cops did anything wrong. The cops did what they were trained to do after all other attempts to subdue RK failed. They made a mistake by comments relayed to each other on the messaging system that added fuel to the fire. Remember they were cleared in state court of any wrong doing. The LAPD Sgt lynched by the media; I don’t recall it ever being reported he purposely obstructed the CHP officer from shooting RK prior to the incident. He saved RK life and he went to prison. I’ve always maintained the use of force is not pretty, issue baton and gun to a cop then tell them to use it when necessary, not pretty very messy. Which end of the pitchfork did the girlfriend use to fish him out (or in) of the pool? and deserved to be so “brutally” beaten by the LAPD? Now THAT’S KARMA! That’s truly,using their favorite saying: “what-goes-around-comes-around”! And it’s always wonderful ironic when it happens to Black agitators, that believe that saying applies only to races-that-done-them-wrong. I just read this dope’s bio on Wikipedia. It says that he has 3 daughters. Now I don’t pretend to know what kind of father he was to them but I can guess. Rotney Kang could have done something positive with his life but sadly he took the easy way out. It needs to be said if you do drugs nothing good will come of it and you could wind up paying the ultimate price. Now his kids will be without a father. I bet that this clown didn’t even care about them or the fact that children especially girls need their dad in their lives. It figures that this fool had assorted drugs and alcohol in his system when the fished him out of the pool. Debbie you’re right something stinks about the girlfriend. There was a pitchfork, hoe(not the girlfriend),and a pool sweeper found in the water and she couldn’t get him out. How deep was the water? She probably just got her hair did and didn’t want to get it wet. Anyway Rotney’s was just another wasted life that finally came to it’s tragic end. As former radio talk show host Ken Hamblin use to play on his show, another one bites the dust. Shame on George Herbert Walker Bush for ordering the prosecution of those officers. The first Bush was under pressure to do something to distance Republicans from perceived racism. It was a presidential election year after all and politics had more to do with it than due process of law and justice. And Bush still lost to a fellow later that year named Bill Clinton. Which shows us that that doing the politically correct thing garners you no credit with those who hate you. Like I said, don’t hold your breath waiting for those officers to be rehabilitated. Its over and done with and they have gone with their lives. The AP puff peice on King in todays’ paper reported how King “lost” his $3.5mm settlement. Just how did he LOSE it? Did he misplace it? Did someone take it from him? Did he throw it out the car window? Nah, judging from his “lifestyle,” I’d say he blew through it. But he didn’t “lose” it. The Los Angeles PD and Sheriff Departments had a strict policy of not arresting Rodney King for ANYTHING after the riots. If they had any doubts when then ran into him, he was to be driven back to his home no matter how high, abusive, or wacked out. They were so afraid of another law suit with King that they bent way over backwards to keep him away from a cell. And there are several others who get the same treatment as the LAPD’s upper management want to appear very, very politically correct no mater how much it costs them. White police officers wouldn’t arrest King afterwards or any other black suspect. Its a career-ender and if the media looked at it the wrong way, they sure as heck wouldn’t get any backing from their bosses in the department. They’ve learned to stay away from trouble and arresting a black suspect isn’t just worth the risk of losing their jobs and serving jail time. Just one of the unintended fallout consequences of how Rodney King’s was treated and the ironic result is black America has suffered the most from rising crime no one wants to fight because its not going to give the police any credit for it if they do fight it. Some decent, conscientious white law enforcement officers lost their careers and freedom trying to restrain this animal. Although I agree with Debbie on most issues, I do not agree with her position where she stated that there was a reason the cops beat him. I want to also say for the record, I am no fan of Sharpton either. I can emphatically say that what they did is not taught as part of POST nor was it within LAPD protocol of using impact weapons. Clearly is was excessive use of force. Kicking a subject while they are subdued is also not part of the training in any instance and the courts [feds] were correct in prosecuting Koons and Powell and they rightly sat their butts in federal prison for 2-1/2 years. We know that LAPD has a long history of violating the civil rights of its citizens it is supposed to protect. A classic example is when LAPD opened fire on two HFAs in a truck while the two females delivered newspapers. The cops justification: The truck was the same model as Dornan’s truck. Go figure?